Baruuk by Laura Jean (@kedemel_). Support her work on her website and Tumblr. 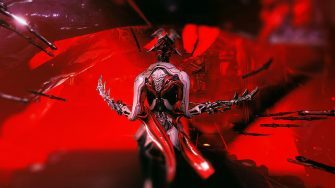 Baruuk is an interesting Warframe that can easily decimate most levels of content if modded for properly. He can evade all incoming damage using Elude, sleep enemies with Lull and has insane damage reduction from Desolate Hands and his passive. However, the most exciting of his abilities is Serene Storm, where he lays down the guns to bring out the fists. His exalted weapon, Desert Wind, is unique in that it can kill enemies through walls which we aim to abuse. 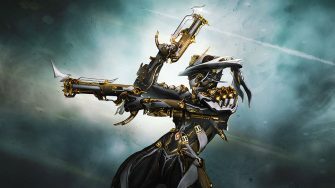 In this build guide, we’ll cover two ways to build Baruuk and Desert Wind: One without Forma and one with Forma. 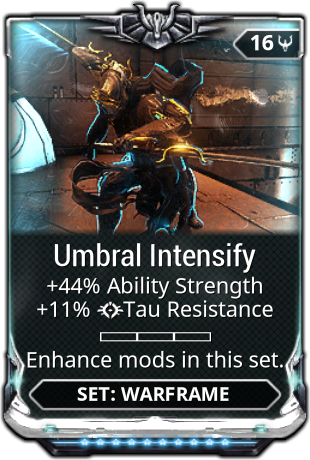 Use the 0 Forma builds to get a feel for Baruuk and his mechanics, then consider committing to the Forma builds to bring him to the next level. 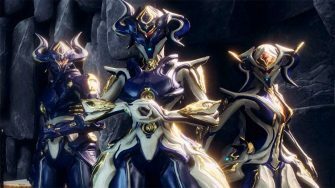 As with all Warframes, there are many ways to build Baruuk so we’ll explain our reasoning for the choices we make over other styles of builds. 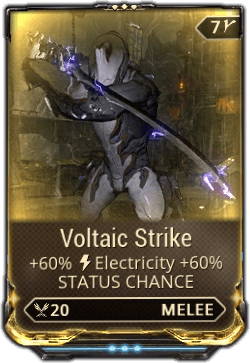 This build aims to maximize the potential of Serene Storm. 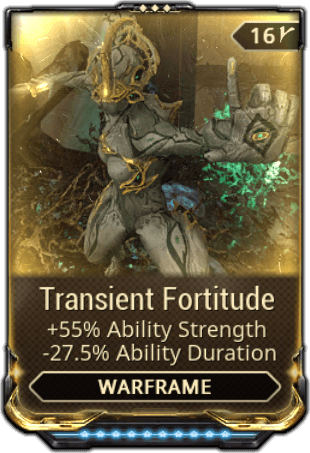 While Serene Storm does not scale infinitely, it can easily be built to deal with level 100+ enemies meaning it is more than adequate for all game content aside from long survivals. That means you can safely bring Baruuk along for a Sortie or Arbitration without concern. Arcane Fury is the best Arcane for boosting the DPS of Desert Wind, but Arcane Strike is also excellent and is much more affordable. 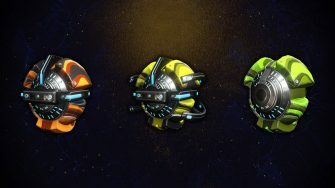 You may have noticed that our build has a whopping 12% Duration from using Fleeting Expertise and Transient Fortitude . This is intentional. Duration affects the length of time that Lull is active and the sleep duration on enemies. It also reduces the energy drain from keeping Elude active. 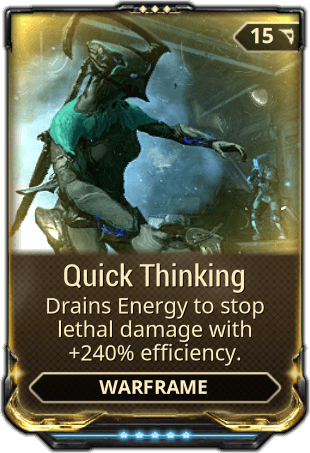 This build has no intention of using Elude since it aims to attack at all times, so the loss in energy efficiency isn’t important. What is important, however, is that Lull can only be cast again once it becomes inactive. The longer your duration, the less frequently you can use Lull. Furthermore, Lull only reduces the “Restraint” meter based on the number of enemies it sleeps. If you sleep several enemies with your first activation, using Lull again won’t reduce your Restraint meter until the enemies wake up from the first activation. By reducing Ability Duration to 12%, you can spam Lull approximately once every ~4 seconds to reduce your Restraint meter. This is one of the fastest ways to reduce the Restraint meter and is also convenient to do when using Serene Storm so we highly recommend setting up your Baruuk to have low duration if you aim to use Serene Storm frequently. Some Baruuk builds opt to go high range for better coverage on Elude and Lull. As stated before, we have no intentions of using Elude with this build meaning the extra protection provided from high range has little to no value. For Lull, in our testing it appears that most enemies are only slept if they are in line of sight of Baruuk. Due to this drawback, having high range for Lull isn’t a significant benefit as most enemies further than 30m away likely aren’t in line of sight / alerted. High range does, however, make it more likely that you lose dagger charges which is less than ideal. 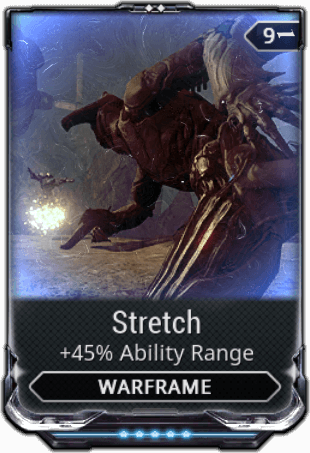 Stretch is more than adequate in our opinion. 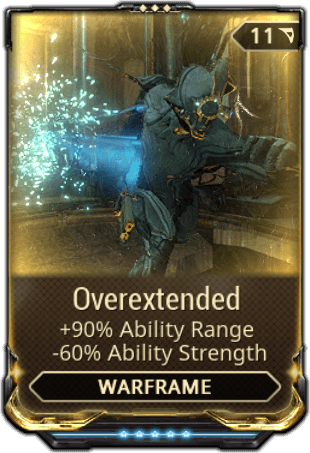 Baruuk’s exalted weapon, Desert Wind, receives a fairly significant damage buff from strength mods. While it isn’t worth building for entirely, it is a high priority. Ability strength also increases the number of daggers that Baruuk spawns with his third ability, Desolate Hands. Since it is important to keep at least 9 of these daggers at a time for the full 90% damage reduction, we have found that high ability strength is a good place to be. Enemy Sense is an absolute must in our opinion. 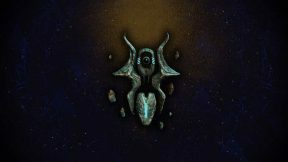 DE was kind enough to provide Baruuk with an innate Naramon polarity for his Exilus slot and this is by far the best mod for it. Enemy Sense synergizes remarkably well with Serene Storm thanks to the near infinite punch-through on Desert Wind. In most cases, you can just look at the mini-map as opposed to the game screen and punch in the general direction of red enemy markers to wipe entire maps in seconds. Trust us, give this mod a shot if you haven’t tried it. 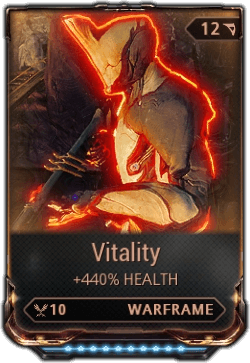 It might seem odd that we are only using Vitality on this build, but in our experience this is all you need. Thanks to the damage reduction from Desolate Hands, the Restraint meter and Serene Storm, Baruuk is a pretty solid tank. 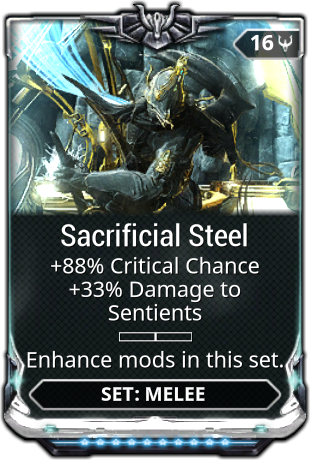 He can withstand level 100+ enemies without much concern, so we find having other mods for survival unnecessary. 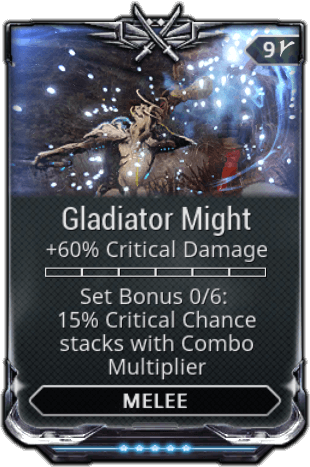 The build has space for a rank 4 Gladiator Resolve if you want to add another mod to the build, but it is by no means required. 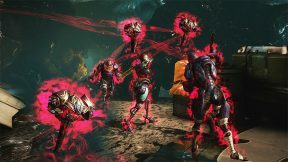 The build above scales up to level 100 enemies, including Grineer, without issue. 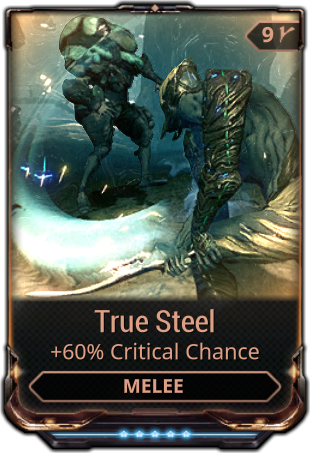 Desert Wind has an innate 50% critical chance which is increased to 80% thanks to True Steel . 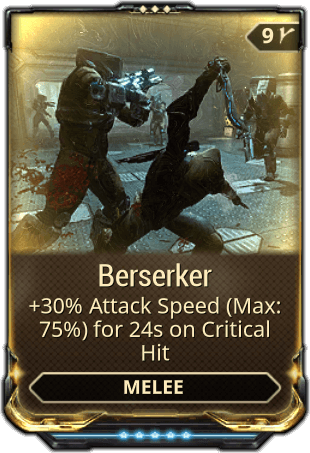 Thanks to the high crit chance, Berserker is an excellent mod to include. The rest of the build is fairly “stock” for any melee build. 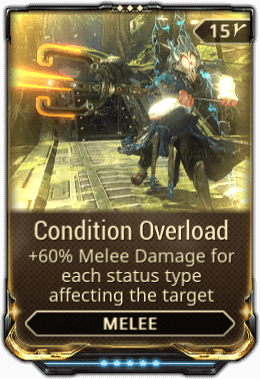 We’re using Corrosive because just like every other weapon in the game, Desert Wind only starts to fall off in effectiveness against high level Grineer. Drifting Contact is only there because there was 3 capacity leftover and it fits nicely in the last slot. It has almost no impact on the build and is not necessary by any means. 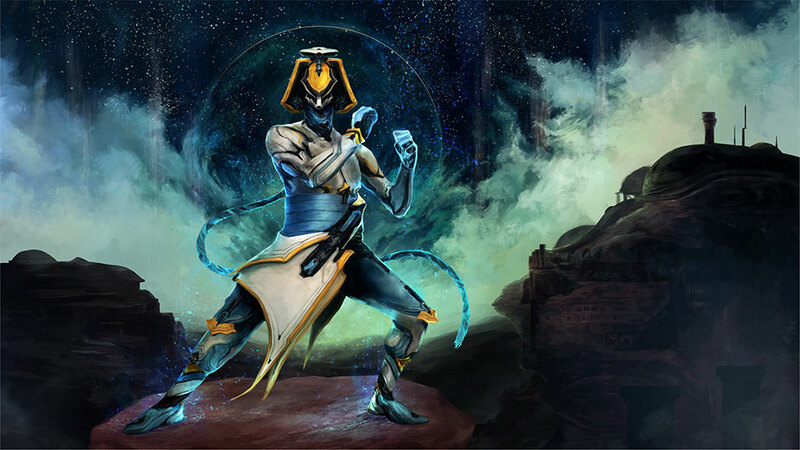 Desert Wind only builds combo when you hit directly with Baruuk’s fists rather than the energy waves. This is extremely difficult to do as the energy waves tend to ragdoll enemies all over the place. 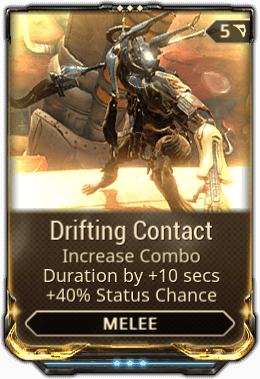 Therefore the only purpose for Drifting Contact in this build is a slight increase in Status chance. 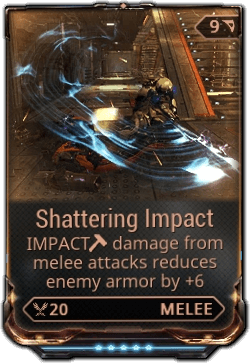 You can leave this mod slot blank or use a rank 2 Shattering Impact instead. 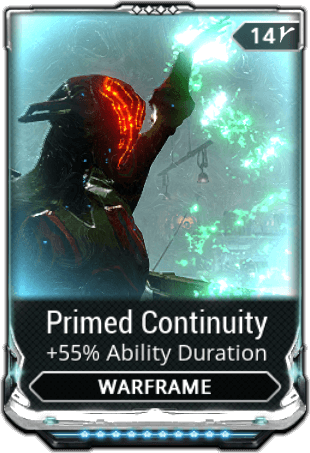 Like Mesa Prime, we’re showing the forma’d build for the exalted weapon before the Warframe as it is more important to Forma the weapon. 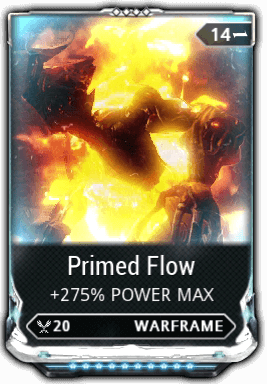 This fully forma’d build has over double the theoretical DPS of the previous build and felt much better in practice. This is thanks to the upgrade of True Steel to Sacrificial Steel along with the addition of Fury (or Gladiator Vice ) and Gladiator Might . 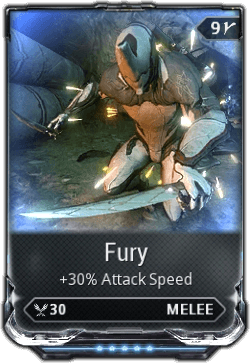 Note that Fury / Gladiator Vice should be replaced with Primed Fury if you have it. 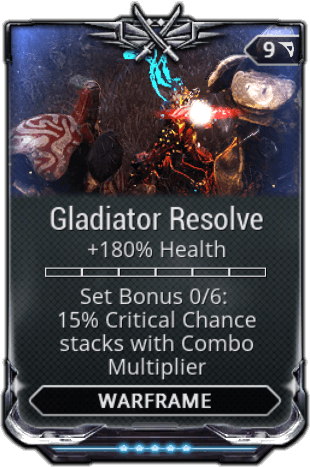 As an aside, it’s worth mentioning the set effect of Gladiator mods has zero impact on the energy waves from Desert Wind. 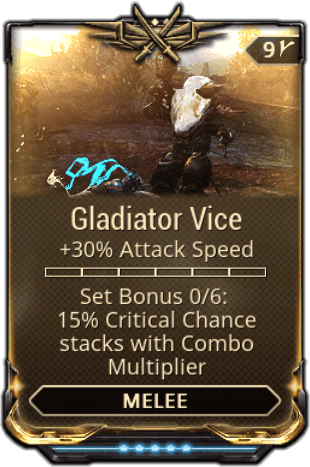 We tried adding Gladiator mods to both our Warframe and our melee weapon (not Desert Wind) and saw critical chance improve significantly for direct hits, but never for the energy waves. 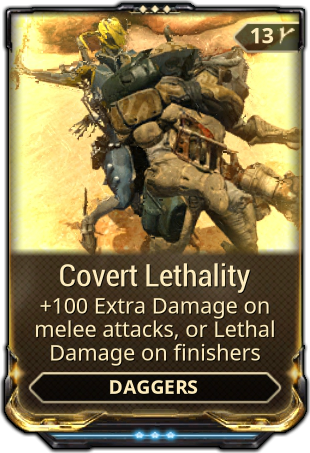 This does increase the critical chance on finishers with Desert Wind, but it’s better to just use a dagger with Covert Lethality if you want to go that route. For level 100+ content, there is some argument for using Condition Overload despite Desert Wind only having a 10% Status chance. 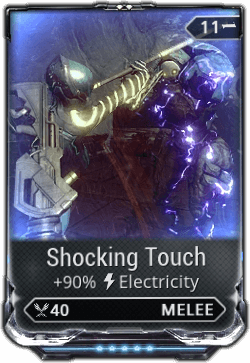 If you replace Shocking Touch with Voltaic Strike (forma for Madurai) and Gladiator Might with Condition Overload, there is a slight DPS increase for 1 status effect and a massive DPS increase for 2 status effects. 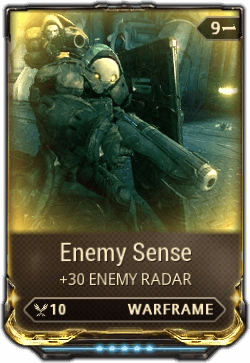 While this might work in theory, we haven’t tested it as we simply think there are better options if your goal is to take on enemies that are above Sortie level. We usually don’t share different configurations in our build guides, but this time we felt it was worth doing since there are several ways to play Baruuk. Config A and B both revolve around using Lull to reduce Restraint then using Serene Storm to clear maps. 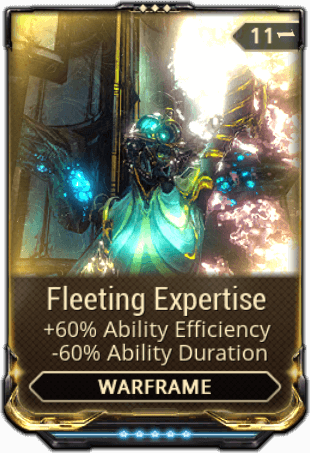 The only difference between the two builds is that Config B is far tankier thanks to Primed Flow and Quick Thinking , but this comes at the expense of damage. Config B is far easier and less intensive to play, but Config A can dish out more damage so pick based on what you feel. Config C is a completely different playstyle that revolves around maximizing the effectiveness of Elude and Lull. This is a great build if you want to try using Baruuk with a Covert Lethality dagger. 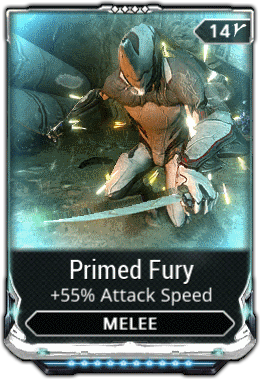 He can avoid nearly all damage with Elude and only strike when enemies are vulnerable to finishers from his Lull ability. Desolate Hands still provides 90% damage reduction and Serene Storm is still more than powerful enough with 194% Strength. It’s worth noting that the Rank 3 Overextended is intentional as Range only needs to go above 200%. The lower rank saves 20% Ability Strength. 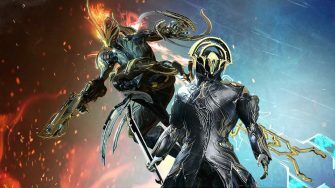 Baruuk is a surprisingly fun Warframe to play once you get accustomed to his ability kit. We found that using him in short Mot survivals (roughly 1 hour) was especially enjoyable as he can reduce Restraint fast enough to keep Serene Storm active almost all the time. Punching and killing enemies through walls is far more fun than we anticipated. Serene Storm in combination with Enemy Sense is also just absurd when played properly. 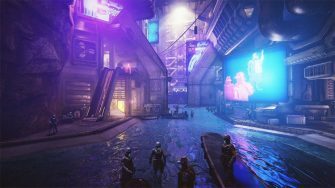 We hope you have as much fun with Baruuk as we have and feel free to share your builds in the comments below. Thanks for reading! I don’t understand, how is slash and puncture apart of the damage on Desert Wind? Vigilante Pursuit is straight upgrade of Enemy Sense for your Exilus slot. Costs the same, gives the same stats and some more. 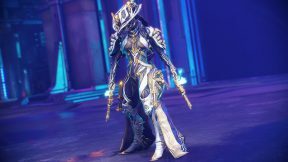 Yes – A recent hotfix changed it to be an Exilus slot mod which it wasn’t before. I was not aware of the hotfix. Thank you! lots of fun, thanks for the guide! !